I think being a parent is the most challenging thing you do. That’s why we’re here. It’s at the heart of what it is to be a human being. It’s the ultimate experience because it questions everything about who you are. But it’s difficult. We’re just a group of girls, and some were recruited and some were overlooked. But we all came in to rebuild this program and build it to the top. We all want to prove that we’re winners. A&M has rarely beaten people at their home, so we’re enjoying this. We made a big statement. In the past years, we’ve been in the bottom (of the Big 12). Now we’re trying to be in the top, with the rest of the Big 12 South teams. It makes a big statement. We’ve always in the past years been at the bottom of the Big 12. Now, we’re trying to make our way to the top … with the rest of the South teams. (The Bears) should have been matching our intensity. But we had to match theirs. They had the momentum going into halftime. And they came out with that same momentum in the second half. But they left me wide open. I just took the open shot. 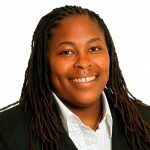 A'Quonesia Franklin is an American basketball coach and former player. She played two seasons in the WNBA. She was a three year captain of the Texas A&M team from the 2005–06 to 2007–08 seasons. She received All America honorable mention honors from the Associated Press two times, and has also received all Big 12 honors. She became an assistant coach for the Kansas Jayhawks women's basketball team in May 2011.